The projects for the Alexandroupolis oil pipeline and the Southern Stream gas pipeline were in the focus of talks between Russian President Vladimir Putin and his guest Greek Prime Minister Constantinos Karamanlis. During the visit, experts of Bulgaria, Greece and Russia signed an interim agreement on the international design company for the Alexandroupolis project fixing the agreement of the future shareholders to start the respective registration procedure in Amsterdam. Stefan Gounchev, Chairman of the Board of Directors of the Bulgarian Bourgas-Alexandroupolis Design Company initialled the agreement for Bulgaria. Putin described the document as "a real and the last but one step to the beginning of the practical realization of this extremely important project. "The experts declared their intention to complete the process, Putin said. 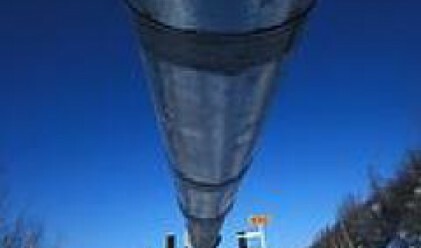 According to some Russian media, the construction of the oil pipeline is expected to start in 2008 but as the International Design Company has not been registered yet, the participants have not started the design work on the project. The final documents will be signed during Putin's visit to Bulgaria on January 17-18, 2008.